Provides a good environment for seeds to sprout and plants to grow. This product requires assembly Key features - Provides a good environment for seeds to sprout and plants to grow. - The roof vents can be placed in a halfway open position to allow air to circulate and the temperature to cool. Care instructions: Wipe clean with a damp cloth. Product description Frame: Steel, Polyester powder coating. 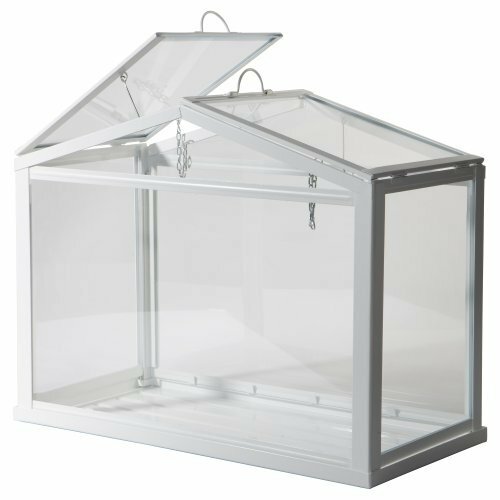 - Width: 17 ¾ "
- Height: 13 ¾ " / 13 ¾ "
View More In Greenhouses & Accessories. If you have any questions about this product by IKEA, contact us by completing and submitting the form below. If you are looking for a specif part number, please include it with your message. DOEWORKS 3 Tier Portable Plant Greenhouse with PE Cover, Indoor Outdoor Garden House with Casters, 27.6"x 18.9"x 52"
© 2019 - communitygreenhouse.org. All Rights Reserved.